Want to join the MPHS Math Club? 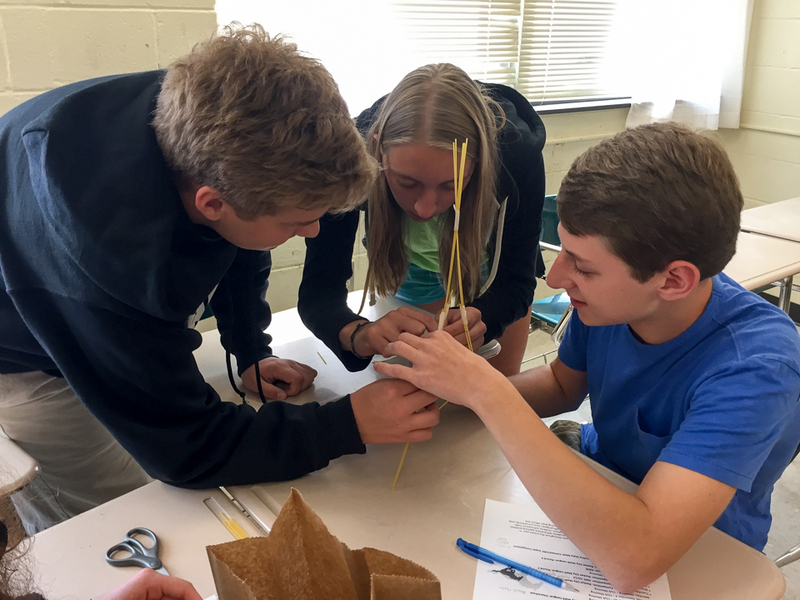 The MPHS Math Club strives to promote enthusiasm and interest in mathematics beyond the classroom experience. We provide students the opportunity to develop mathematical problem-solving skills in a casual, friendly, and fun atmosphere. The MPHS Math Club is open to all Myers Park students interested in solving and discussing mathematical problems. To stimulate interest in the field of mathematics through mathematical competition. To develop an appreciation of the power and beauty of mathematics. To recognize the outstanding mathematical achievement of our members. To establish and maintain close relationships and mutual understanding between members. Develop and refine problem-solving strategies. Apply what you’ve learned in the classroom to fun and challenging problems. Explore mathematical ideas beyond what is taught in the classroom. Learn to view and appreciate math as an art that requires creativity and curiosity. Develop team cooperation and leadership skills. Meet new people who share a common interest.